Six months after the Los Angeles City Attorney filed a lawsuit accusing Wells Fargo of a slew of unfair practices — like encouraging employees to open unauthorized consumer accounts and then charging those accounts phony fees to meet sales expectations — two other regulatory agencies have opened investigations into the bank’s behavior. The Wall Street Journal reports that the Office of the Comptroller of the Currency and the San Francisco Federal Reserve are each probing Wells Fargo’s sales culture to determine if the bank pushed employees too hard to meet sales quotas and turned a blind eye when those workers employed decidedly anti-consumer practices. The new investigations center around many of the same issues noted in the Los Angeles City Attorney’s lawsuit, which mostly focuses on the company’s ability to cross-sell products to customers – for example, coaxing a checking account holder to open a credit card. Cross-selling has been used by the company since the late ’90s as a way to boost profits and deepen connections with customers, the WSJ reports. Now, however, the practice has come under fire, with regulators seeking to determine if the company’s “Gr-eight” initiative that encouraged employees to offer or sell eight products or services – known as “solutions” – to each customer crossed the consumer protection line. Among other things, regulators are examining just how widespread or systemic the alleged pushy behavior was, and whether it was limited to certain teams or regions, the WSJ reports. A spokesperson for Wells Fargo would not provide comment to the WSJ on the new regulatory issues, and reiterated that the company disagrees with the previously filed lawsuit and plans to defend itself. According to the L.A. City Attorney’s civil complaint filed in May, in order to meet sales quotas employees at the bank regularly misused customers’ personal information to open unwanted accounts and failed to close the unauthorized accounts despite complaints from customers. In some cases, the city alleged in its lawsuit, employees were so adamant about meeting sales expectations that they used funds in client accounts to open additional accounts. 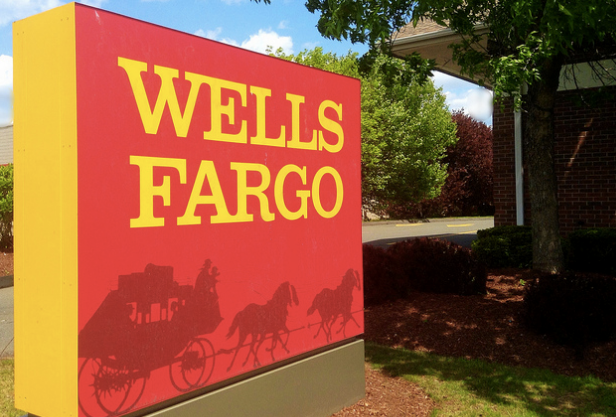 In addition to opening unwanted accounts and charging exorbitant fees, the lawsuit claims that Wells Fargo further harmed customers by placing their accounts in collections when they didn’t contain enough funds to cover the bogus bank-generated fees. Customers would then receive marks on their credit reports. The Office of the Comptroller of the Currency and the San Francisco Federal Reserve seek to determine if Wells Fargo perpetuated the employees’ activities and whether or not the company failed to prevent such behavior, the WSJ reports. As previously reported, the Los Angeles investigation into the unfair practices found Wells Fargo – which blamed the issues on an isolated group of employees – took little action to protect consumers. “On the rare occasions when Wells Fargo did take action against its employees for unethical sales conduct, Wells Fargo further victimized its customers by failing to inform them of the breaches, refund fees they were owed, or otherwise remedy the injuries that Wells Fargo and its bankers have caused,” according to the May suit. The WSJ spoke with several former and current Wells Fargo employees who described the high-pressure, and exceedingly loft, sales goals. One personal banker in San Diego said he has daily and hourly sales goals for his specific branch, in addition to quarterly goals set by the company. Some days, depending on the time of year, he’s expected to sell 10 to 20 “solutions” – Wells Fargo’s word for services. Wells Fargo customers have also spoken out about the alleged bad behavior by bank employees. Just weeks after the Los Angeles City Attorney announced its complaint, a California man filed a similar lawsuit on behalf of all wronged Wells Fargo customers, claiming the bank’s unfair practices created undue hardships and financial stress to clients. The man claimed, among other things, that bank employees opened at least seven accounts in his name without permission and that he was routinely hounded by bill collectors to pay fees on those accounts – both issues detailed in the city’s original complaint.